Beyoglu is one of the most fond of the boutique wrd, which has a series of meanings such as original / precious, carefully designed and smaller in Turkish. Beyoğlu represents the night life/Cultural life of Istanbul with its history, monumental ancient buildings, clessique restaurants, Antique passages, dessert-pastry shops, bohemian venues, jazz bars, rock bars, taverns. 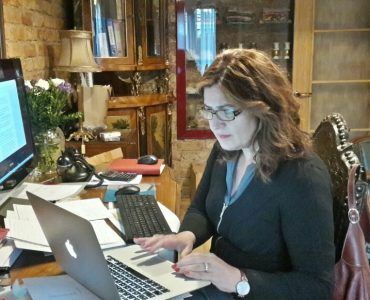 Faik Pasha Boutique Hotel is a boutique hotel designed in this beautiful neighborhood with its past and present concept. Beyoğlu’s unique culture, life style, bohemian and intellectual structure of Cihangir live in this boutique hotel. 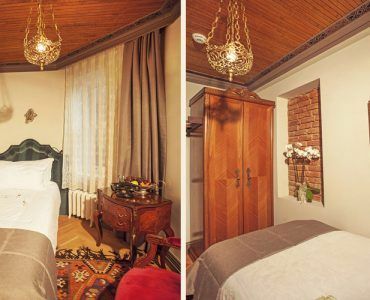 Faik Pasha Suites-Apartments, one of the first names to come to mind at the Istanbul Boutique Hotel, serves mainly European German guests in the restored buildings, which were originally built in the second century. Galatasaray High School, the German and Austrian School, Beyoglu Anadolu High School, a private Zografeion Lyceum, Italian High School are in Beyoğlu. After very tough preparation of the entering exam for these high schools ,hundreds of high school students (stripped from this hard work routine ) are going out at the exit of the freedom and attracted by Beyoğlu’s cultural life and night life too. Kilic Ali Paşa Mosque, Mullah Ferani Cukurcuma Mosque, Firuzağa Mosque, St. Anthony Church, Holy Trinity Orthodox Church, Crimea Memorial Church, St. Lois Francis Church, Three Horan Armenian Church, Aya Triada Church, Neve Shalom Synagogue, Ashkenazi Synagogue,Gaslata Mevlevihanesi are all in Beyoğlu District. people from all sects of all religions are places where meet with God in this neighbourhood. The diversity of the people from different nationalities and religions throughout history in Beyoğlu neighborhood is sourced from having lived alltogether through the centuries . Faik Pasha Suites-Apartments is one of the real Beyoglu Boutique Hotel of Beyoğlu which reflects the all characteristic of the district.